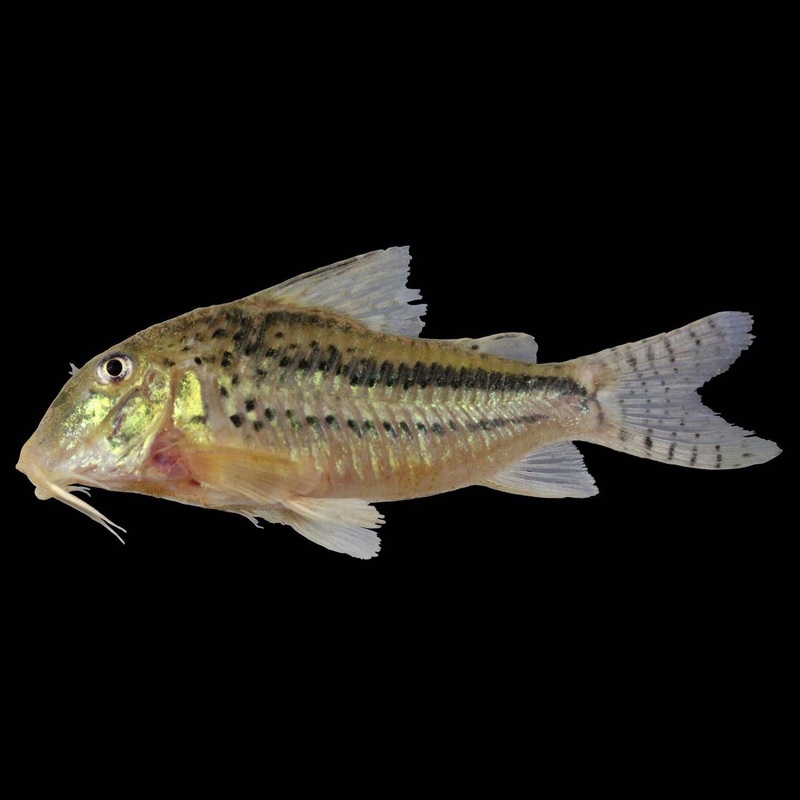 A new species of Corydoras is described from the rio Aripuanã, rio Madeira basin, Mato Grosso State, Brazil. 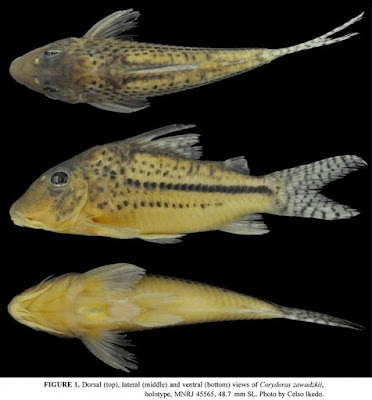 The new species can be distinguished from its congeners by the presence of the following features: long mesethmoid, with anterior tip well developed, conspicuously larger than 50% of bone length; posterior margin of dorsal-fin spine with serrations directed towards tip of spine; one to two longitudinal black stripes on flanks; absence of a black blotch across the eyes (mask); absence of a large black blotch on dorsal fin; and transversal black bars on caudal fin. Comments on endemism in interfluvial region between Madeira and Tapajós rivers are briefly discussed.